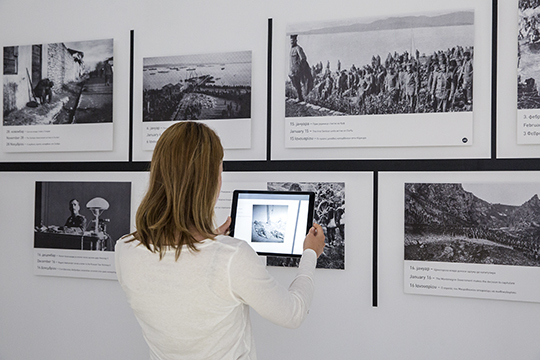 The multimedia exhibition „The Serbs on the Island of Corfu 1916–1918”, which opened on 18 April 2016, and makes use of up-to-date technology, is a memorial and act of deep reverence to our ancestors who, after the remarkable victories in 1914 under extremely difficult conditions, the joint attack by Germany, Austria-Hungary and Bulgaria in 1915, and the heavy fighting during the retreat, had chosen the most difficult way to save the honour of the country and the people. 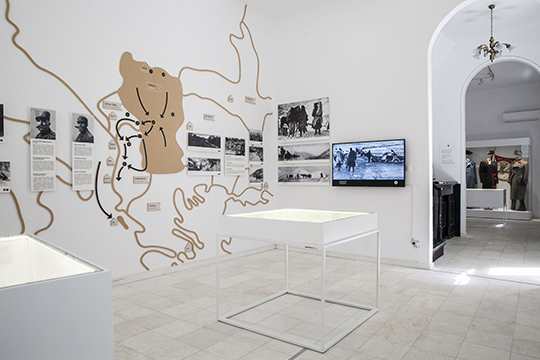 The reconstruction of the Serbian House and the modern new permanent exhibition have been realized on the occasion of the centenary of the evacuation of the Serbian army and refugees to the Island of Corfu, with the support and patronage of the Ministry of Culture and Information of the Republic of Serbia. With the support of the local hosts, „The Serbs on the Island of Corfu 1916–1918ˮ is intended to be a memorial topos for Serbian victims, but also the occasion for recollection of a quick recovery and the unbroken work of the Serbian government and state administration in exile. Corfu was the place from which the army was sent to the Salonika Front. This was the front from which the decisive offensive was launched in World War One, making Serbia one of the most important of the victorious countries and giving her the opportunity to return to the enlarged boundaries of her territory, together with the army, the Supreme Command, the King, the Crown Prince, the state administration and numerous refugees who had been spilled across Europe, Africa, Asia and the Americas. 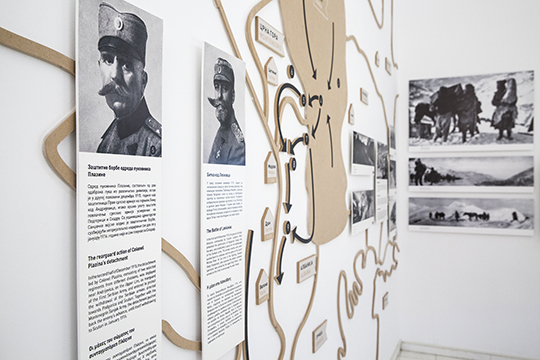 With this multimedia, interactive 3D exhibition, we want to attract the attention of visitors to Corfu of all generations, and to point out the importance which the Island of Corfu had in the history of the Serbian people in World War One. 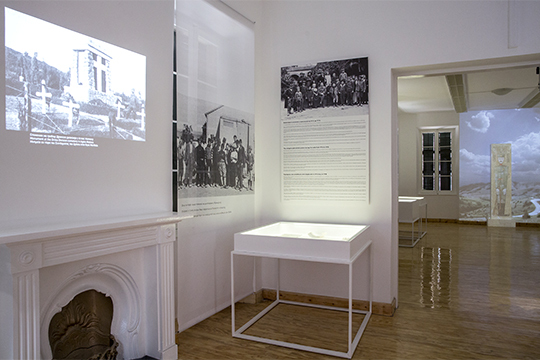 The reconstruction of the building was executed by the Institute for the Protection of Monuments of the Republic of Serbia; the permanent exhibition was realized by the Historical Museum of Serbia and the National Library of Serbia; while the digital interactive exhibits and installations at the exhibition were produced by the Codec Institute. 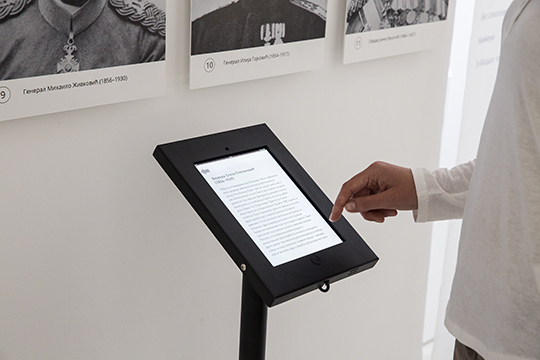 The authors of the exhibition are Nebojša Damnjanović (Historical Museum of Serbia) and Nemanja M. Kalezić (National Library of Serbia), and Rastko Šurdić, who designed the display. 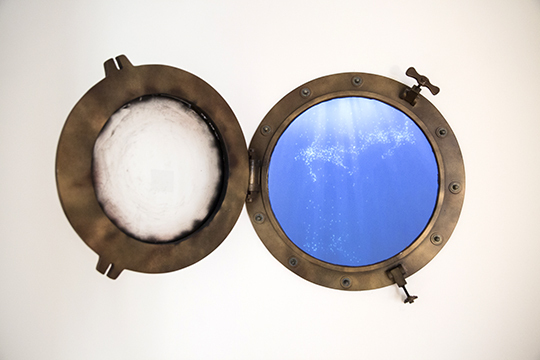 We would like to thank all the institutions and individuals who supported us in the realization of this exhibition.